Originally aired May 20, 2015. 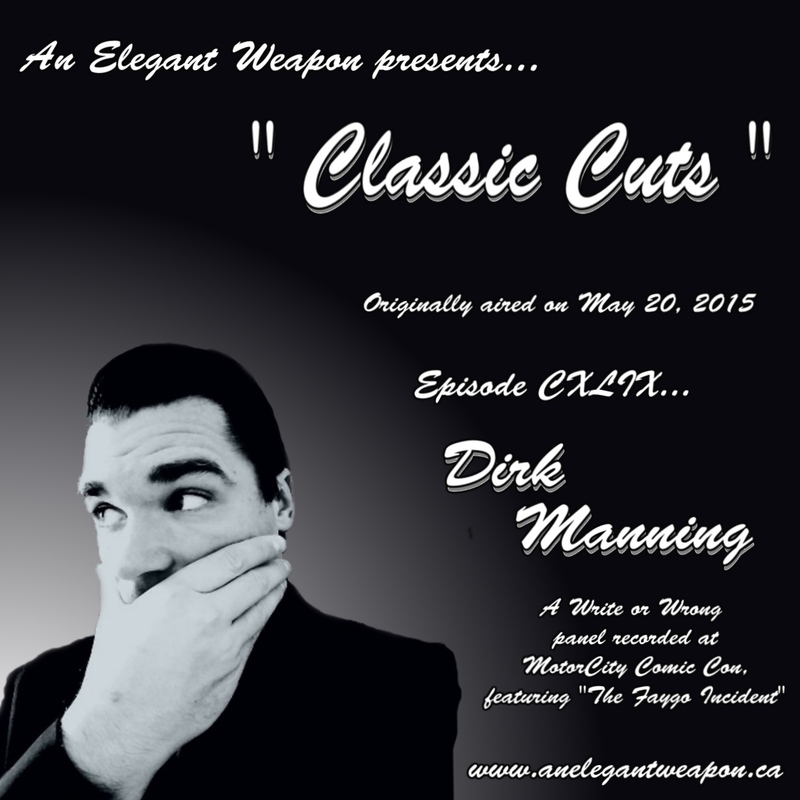 Recorded LIVE at Motor City Comic Con, a Write or Wrong panel with Dirk Manning. This episode features the infamous " Faygo Incident ". A chat about the effects and responsibilities of social media in today's comic book community...and some Avengers. 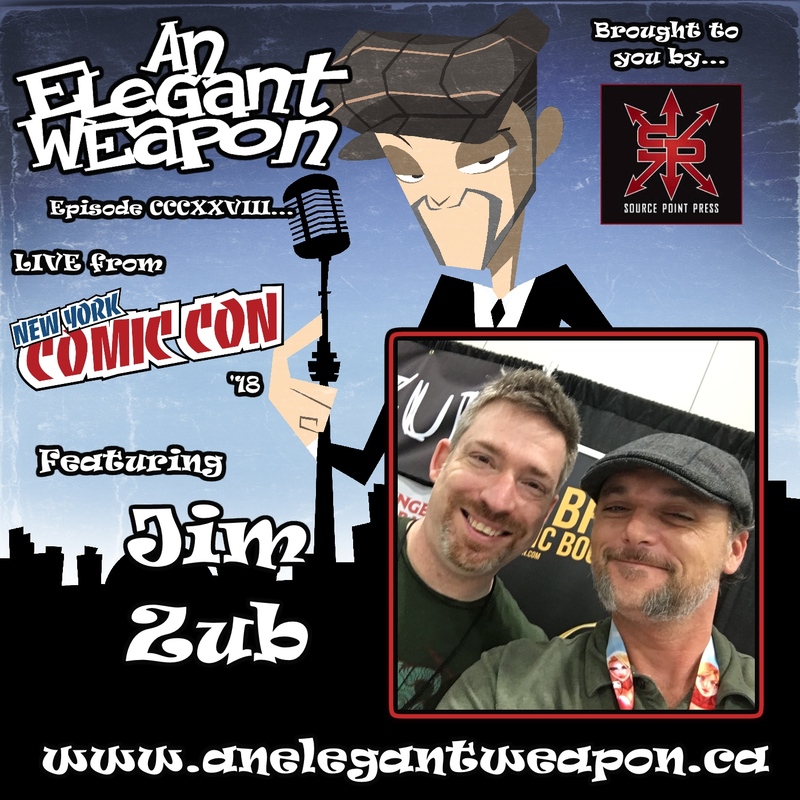 LIVE from New York Comic Con 2018. 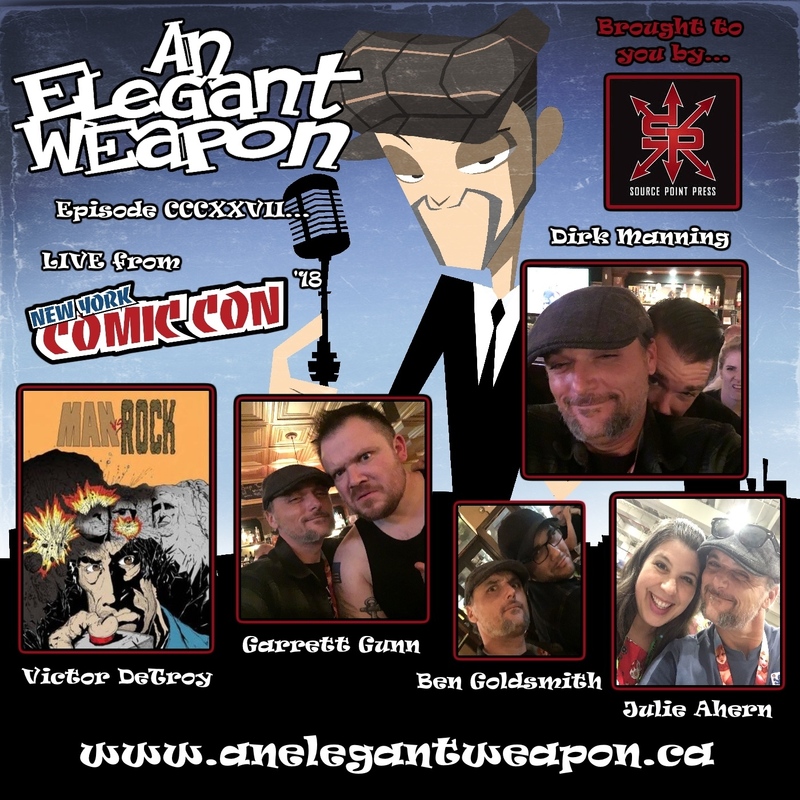 LIVE from Artist Alley at New York Comic Con 2018, conversations with Garrett Gunn ( Franklyn and Ghost ) Ben Goldsmith ( The Séance Room ) Victor DeTroy ( Man vs. Rock ) Julie Ahern ( Greenbriar Games ) and the one and only Dirk Manning ( Tales of Mr. Rhee, Nightmare World). an anthology collection of more than 40 stories from an all-star roster of comics creators united against hatred, bigotry and racism. visit the kickstarter today and support! 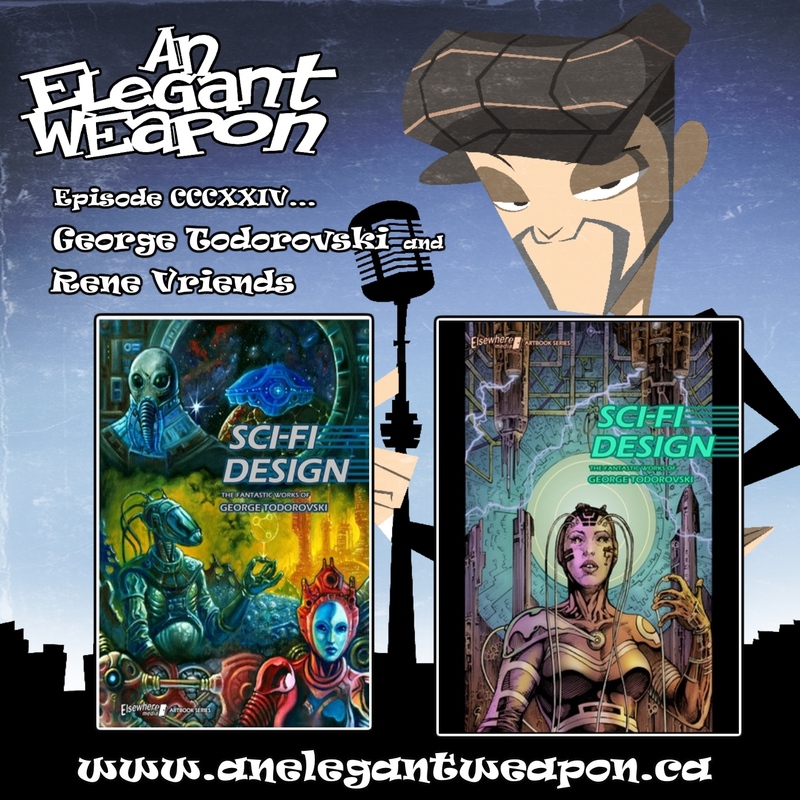 Discussing George's upcoming project Sci-Fi Design : The Fantastic works of George Todorovski. 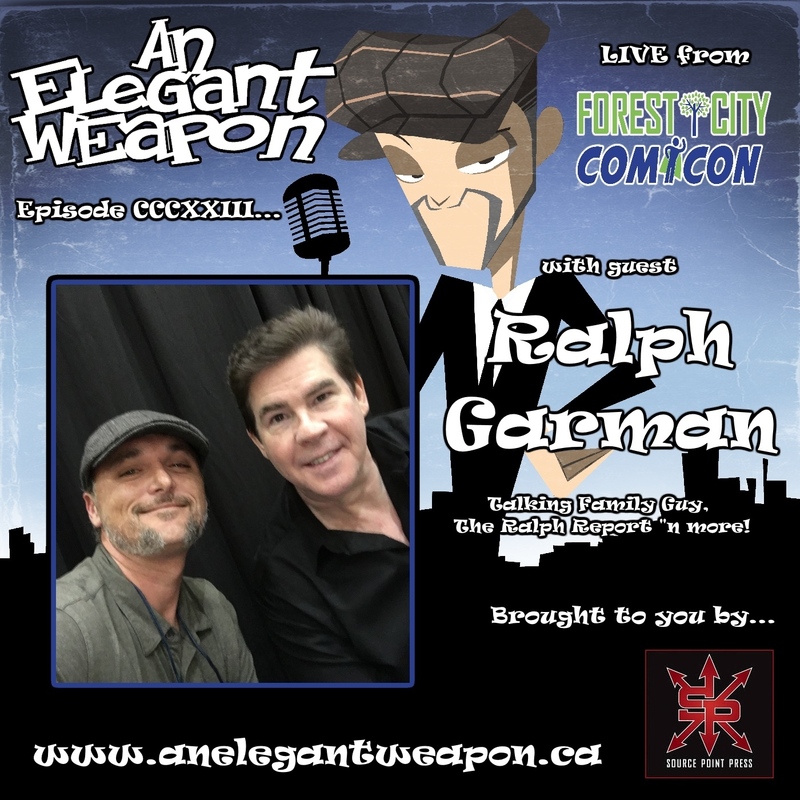 LIVE from Forest City Comic Con in London, Ontario, a chat with actor, comedian and podcast host Ralph Garman talking Family Guy, The Ralph Report and more! 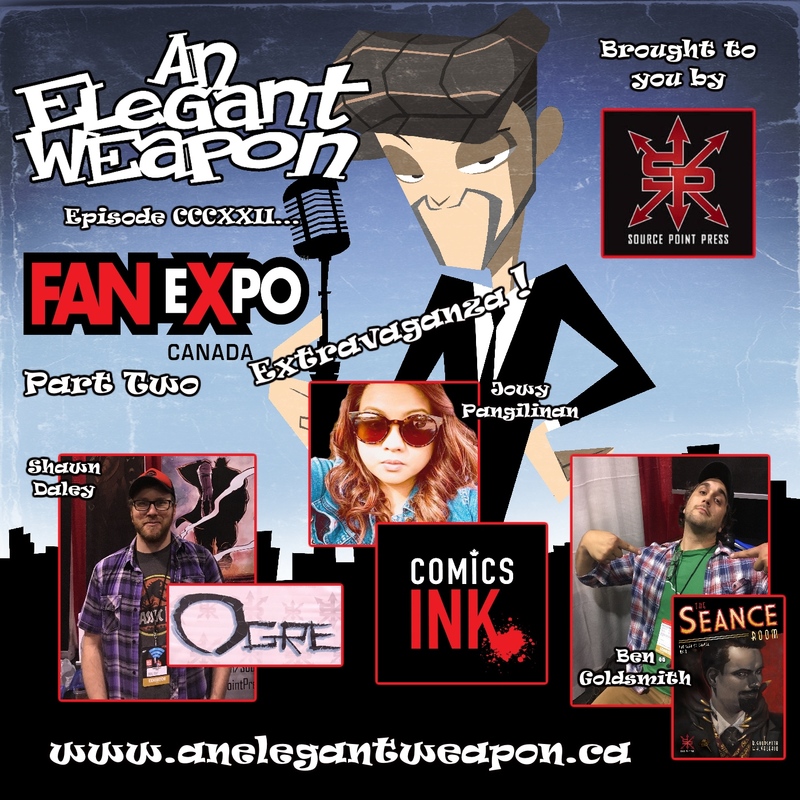 Part 2 of The Weapon's 2018 FanExpo Extravaganza featuring Artist Shawn Daley, Jowy Pangilinan of the Comics Ink podcast and writer Ben Goldsmith. 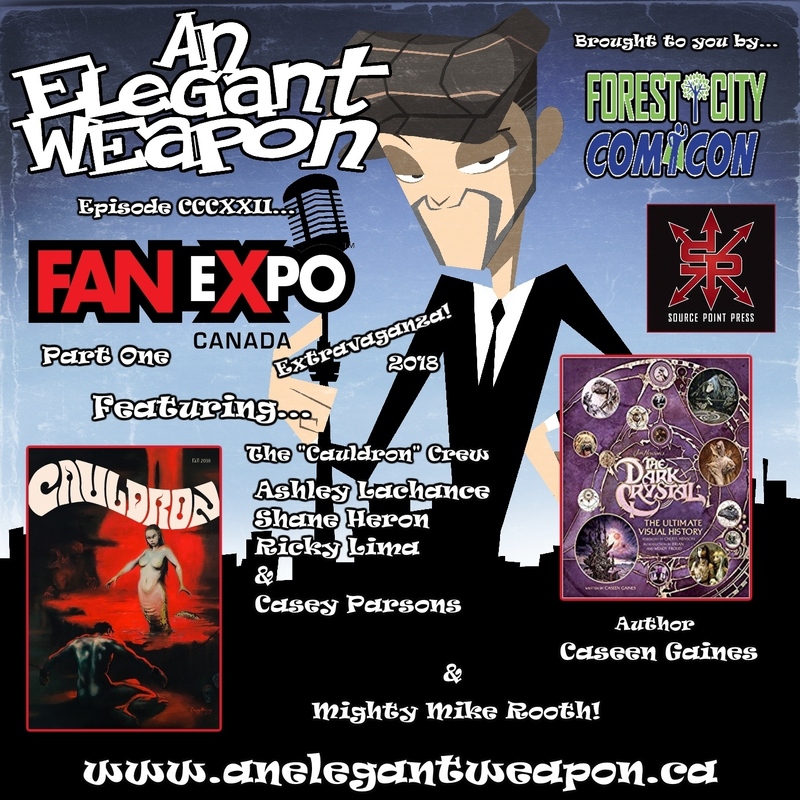 Part One of this year's FanExpo Canada Extravaganza features chats with members of team Cauldron Ashley Lachance, Shane Heron, Ricky Lima and Casey Parsons, the author of The Dark Crystal Ultimate Visual History, Caseen Gaines and artist extroirdinare the Mighty Mike Rooth! 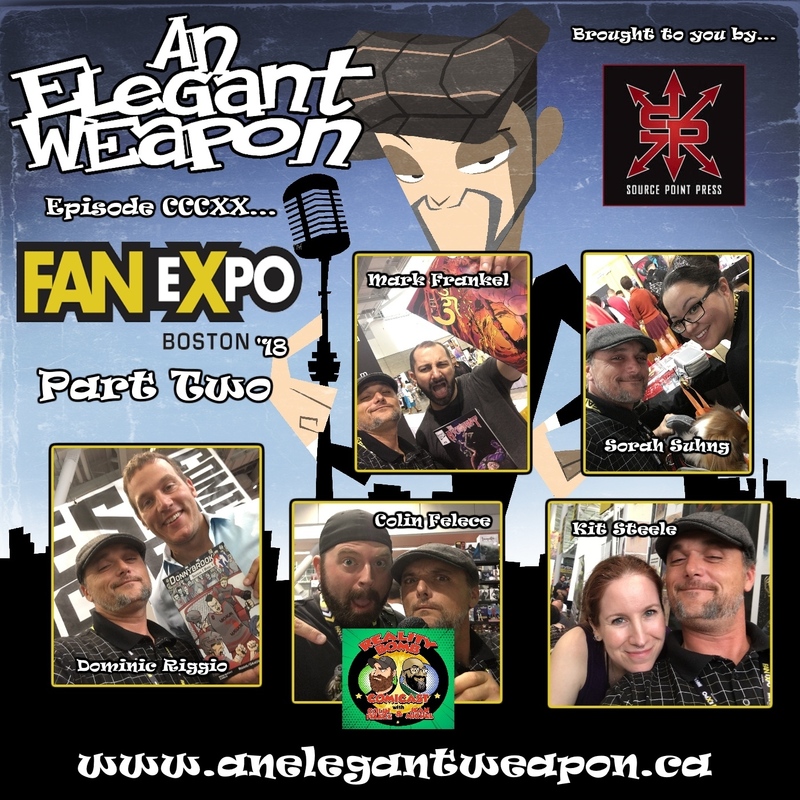 LIVE from FanExpo Boston '18, conversations with Mark Frankel of Wayward Raven Media, Dominic Riggio of Messbucket Comics, artists Sorah Suhng and Kit Steel as well as co-host of The Reality Bomb ComiCast Colin Felece. 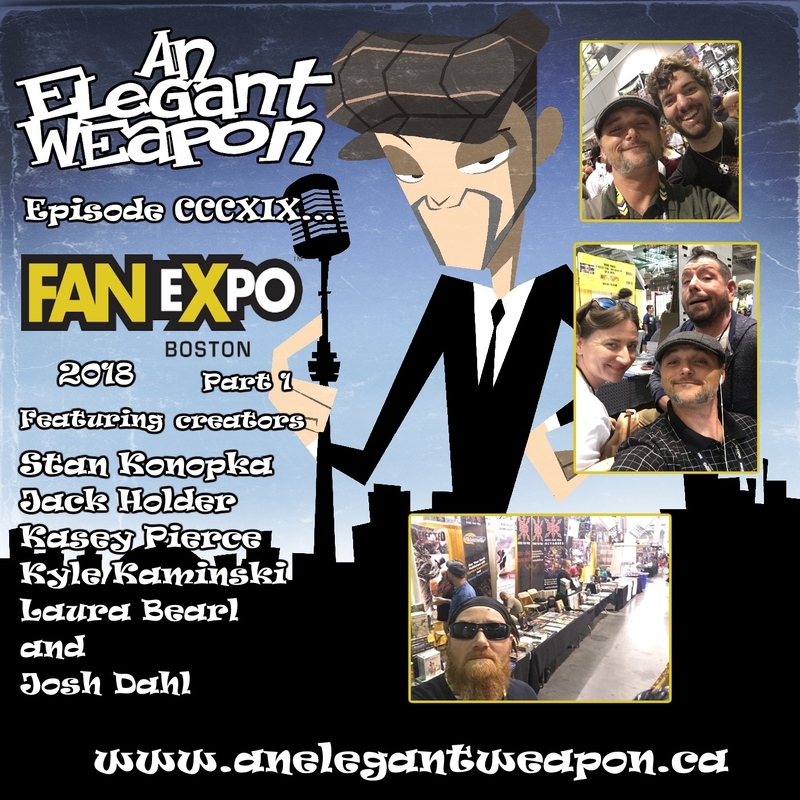 Conversations from the con floor at FanExpo Boston 2018! 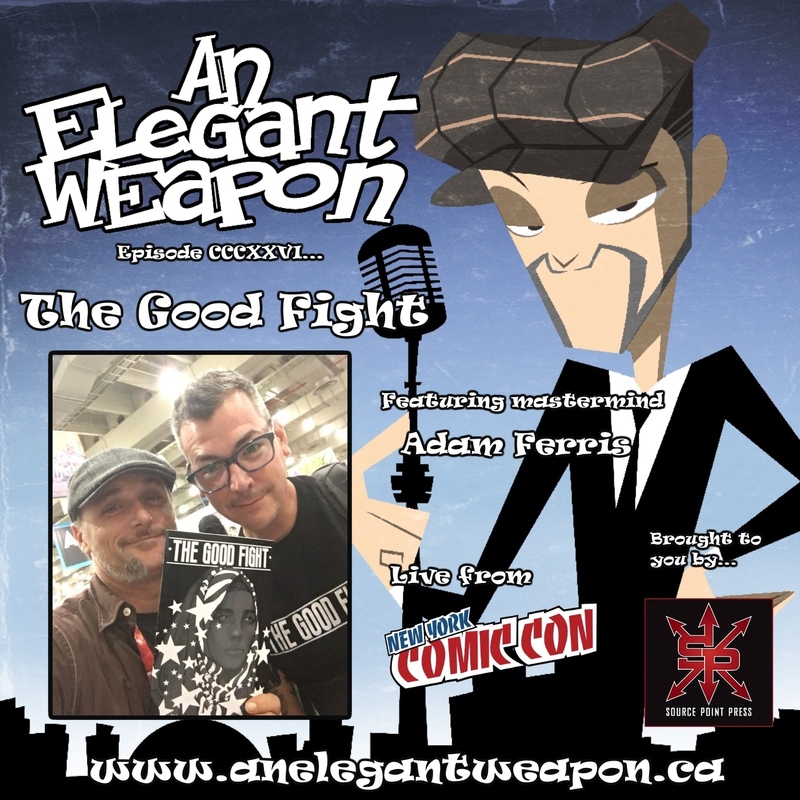 Part One features chats from Artist Alley with comic creators Stan Konopka, Jack Holder, Kasey Pierce. Kyle Kaminski, Laura Bearl and Josh Dahl.